2007-Up Toyota Tundra wheel spacers, in stock and ready to ship. We now carry vehicle specific wheel spacers for the 2007-Up Toyota Tundra. 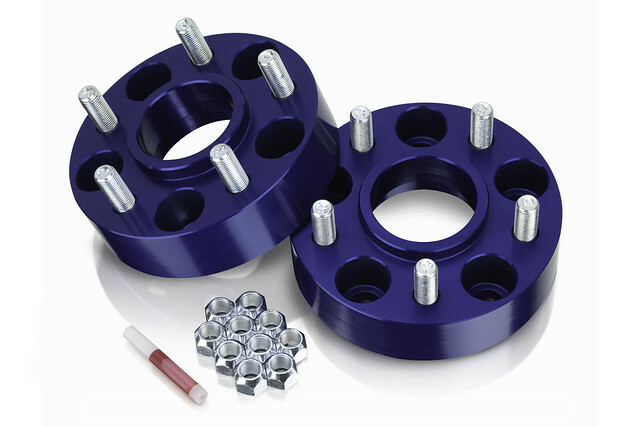 As with all of our other spacers, these are manufactured in-house to the highest of tolerances, ensuring a strong and safe fitment with each and every kit. Full details available in our online store. We have a new Toyota Tundra spacer on the way (5 x 150mm), set for an official release next week. For us, just as exciting as bringing this new wheel spacer to our line (maybe even more exciting?) is our revamped wheel spacer packaging, shown here. Sometimes, it’s the small things that stand out. All new TJ wheel spacers, and a new low price! We’re excited to release yet another new Jeep Wheel Spacer to the product line. Say hello to the 1-1/2″ thick TJ Wheel Spacer Kit. But why stop there? Effective today, we’re also lowing the price of our original 1-1/4″ thick TJ Wheel Spacer Kit to $89.95 a pair. Happy Wednesday!